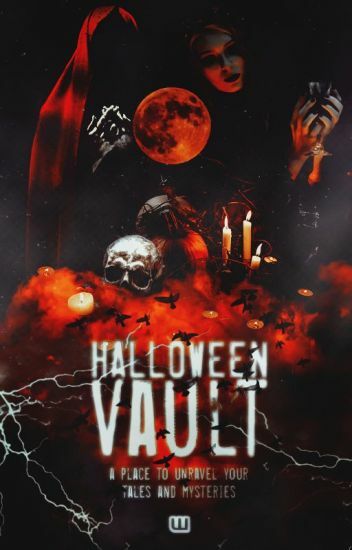 For the first time ever, we have collaborated with 24 profiles to bring you a super duper fantastic event called HALLOWEEN VAULT. Awesome writing prompts, scavenger hunts and fun activities await you. Anyone, from all over the world, is welcome to join us. We guarantee, you'll have the best Trick-or-Treat experience ever! Join our superb HALLOWEEN PARTY of the year now! Who's Been SMS-ing With Me? What's Up With This Alien? Unleash The Souls - Halloween News and More! The End... but not quite yet! Discussion questions every Friday all about Once Upon A Time! Once Upon a Prompt: Check out our bank of awesome writing prompts sure to get your fanfiction creativity flowing! For the first time ever, we have collaborated with 23 profiles to bring you a super duper fantastic event called HALLOWEEN VAULT. Awesome writing prompts, scavenger hunts and fun activities await you. Anyone, from all over the world, is welcome to join us. We guarantee you'll have the best Trick-or-Treat experience ever! Awesome writing prompts, scavenger hunts, and fun activities await you. Anyone, from all over the world, is welcome to join us. We guarantee, you'll have the best Trick-or-Treat experience ever! Join the best HALLOWEEN PARTY of the year right now!